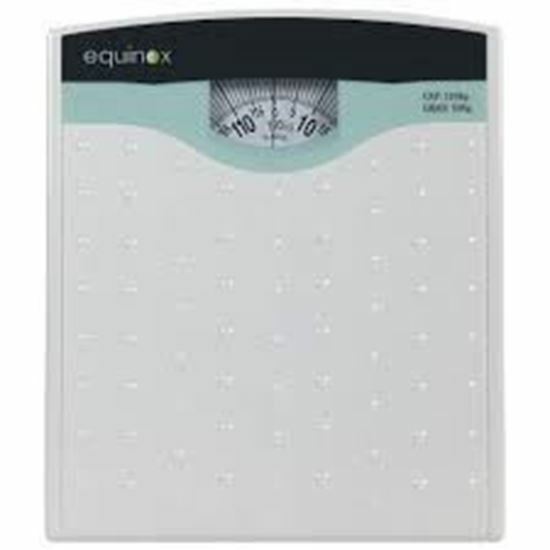 Information about Equinox Personal Weighing Scale-Mechanical EQ-BR-9705 Equinox range of weighing scales are the best tool to monitor and measure your weight. Equinox's mechanical weighing scale EQ-BR-9705 is designed with a durable construction and has the capacity to withstand a maximum of 120 kilograms. The weighing scale has a zero adjuster, we need to set zero before taking the weight. One has to measure his/her weight without any movement while measuring. Key features of Equinox Personal Weighing Scale-Mechanical EQ-BR-9705 Capacity 120 Kg. Accurate readings. Durable construction. Easy to read. Comes with Zero Adjuster. Longer shelf life. Easy to operate and reliable results. Please note: - Do not forget to place the weighing scale on a flat surface to measure accurate weight - It is advised to check your weight everyday at the same time - It is advised not to use the weighing scale right after workout or after any strenuous task.